Henoch–Schönlein purpura nephritis (HSPN) is the most severe symptom of Henoch–Schönlein purpura. The role of immunosuppressive agents combined with steroids is controversial in treating HSPN. Our meta-analysis was performed to assess the efficacy and safety of the combined therapy in the treatment of HSPN compared with steroids alone. Cochrane Library, Pubmed, Embase, and Web of Science were searched and Newcastle–Ottawa Scale was used to assess the quality of the literatures. Odds ratios (OR) and standard mean difference (SMD) with a 95% confidence interval (CI) were used for dichotomous and continuous variables. A random-effect model or fixed-effect analysis was applied according to heterogeneity. A total of 9 articles were selected in our study. HSPN patients treated with combined therapy demonstrated a significant increase in complete remission rates (OR = 1.95; 95% CI 1.17–3.23, P = 0.010) and total remission rates (OR = 2.30 95% CI 1.33–3.98, P = 0.003) when compared with steroids alone. Children seemed to benefit more from combined treatment (OR = 2.45; CI 1.20–5.02, P = 0.014) than adults (OR = 1.56; CI 0.76–3.20, P = 0.225). Additionally, immunosuppressants plus steroids had an advantage on decreasing proteinuria (SMD = 0.28; CI 0.05–0.52, P = 0.019) and increasing the level of serum albumin (SMD = 0.98; CI 0.35–1.60, P = 0.002). 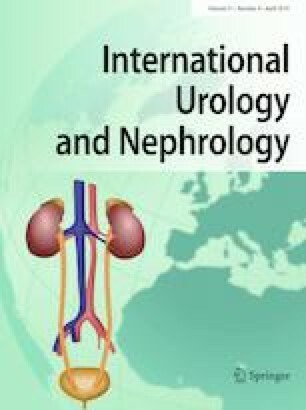 However, significant differences were not found in the estimated glomerular filtration rate (eGFR) and rates of side-effects. Administration of immunosuppressive agents combined with steroids may be a superior alternative for HSPN. Nevertheless, long-term, high-quality, large-sample, and multicenter RCTs are required to make the results more convincing. The online version of this article ( https://doi.org/10.1007/s11255-019-02092-7) contains supplementary material, which is available to authorized users. The authors declare no conflict of interest in this manuscript.